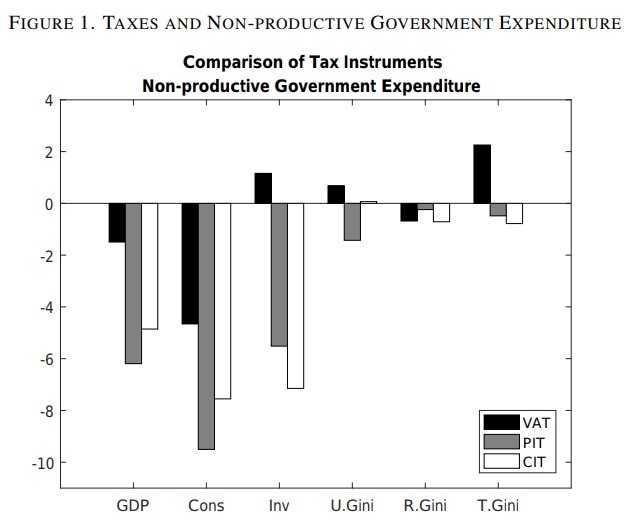 The central argument against punitive taxation is that it leads to less economic activity. Here’s a visual from an excellent video tutorial by Professor Alex Tabarrok. It shows that government grabs a share of private output when a tax is imposed, thus reducing the benefits to buyers (“consumer surplus”) and sellers (“producer surplus). But it also shows that some economic activity never takes place (“deadweight loss”). 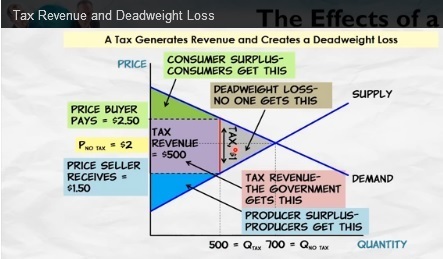 When discussing the economics of taxation, I always try to remind people that deadweight loss also represents foregone taxable activity, which is why the Laffer Curve is a very real thing (as even Paul Krugman admits). To see these principles at work in the real world, let’s look at a report from the Washington Post. The story deals with cigarette taxation, but I’m not sharing this out of any sympathy for smokers. 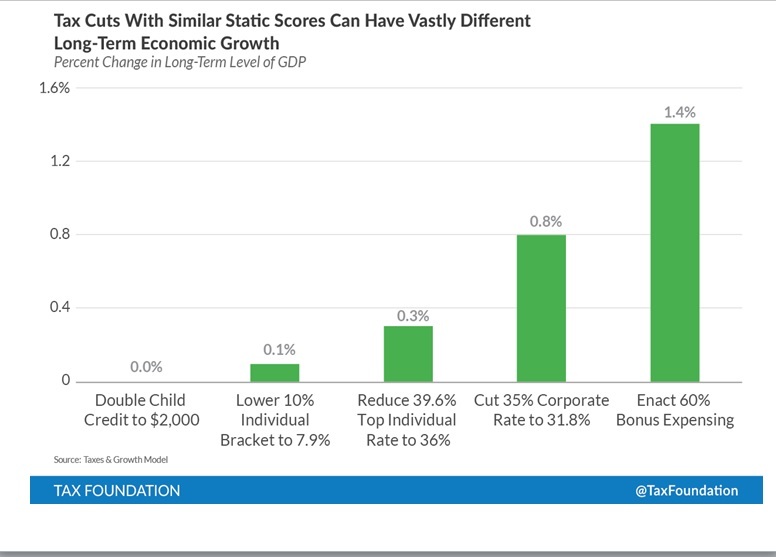 Instead, the goal is to understand and appreciate the broader point of how changes in tax policy can cause changes in behavior. The sign on the window of a BP gas station in Southeast Washington advertises a pack of Newports for $10.75. Few customers were willing to pay that much. But several men in the gas station’s parking lot had better luck illegally hawking single cigarettes for 75 cents. The drop in legal sales and spike in black market “loosies” are the result of $2-a-pack increase in cigarette taxes that took effect last month… Anti-tobacco advocates hailed the higher legal age and the tax increase as ways to discourage smoking. But retailers say the city has instead encouraged the black market and sent customers outside the city. Since I don’t want politicians to have more money, I’m glad smokers are engaging in tax avoidance. And I feel sympathy for merchants who are hurt by the tax. Shoukat Choudhry, the owner of the BP and four other gas stations in the city, says he does not see whom the higher taxes are helping. His customers can drive less than a mile to buy cheaper cigarettes in Maryland. He says the men in his parking lot are selling to teenagers. And the city is not getting as much tax revenue from his shops. Cigarette revenue at the BP store alone fell from $63,000 in September to $45,000 in October, when the tax increase took effect on the first of the month. …The amateur sellers say the higher cigarette tax has not been a bonanza for them. They upped their price a quarter for a single cigarette. 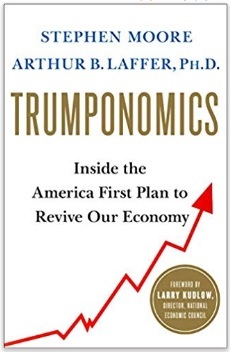 It’s also quite likely that the Laffer Curve will wreak havoc with the plans of the D.C. government. Citywide figures for cigarette sales in October — as measured by tax revenue — will not be available until next month, city officials said. The District projected higher cigarette taxes would bring in $12 million over the next four years. Proceeds from the tax revenue are funding maternal and early childhood care programs. The Campaign for Tobacco-Free Kids says the fear of declining tax revenue because of black market sales has not materialized elsewhere. Actually, there is plenty of evidence – both in America and elsewhere – that higher cigarette taxes backfire. I would be shocked if D.C. doesn’t create new evidence since avoidance is so easy. An under-appreciated aspect of this tax is how it encourages the underground economy. Though I’m happy to see (especially remembering what happened to Eric Garner) that D.C. police have no interest in hindering black market sales. Kudos to Mike. I’m glad he’s engaging in voluntary exchange rather than robbing and stealing. Though maybe he got in trouble with the law in the first place because of voluntary exchange (a all-too-common problem for people in Washington). But now let’s zoom out and return to our discussion about economics and taxation. 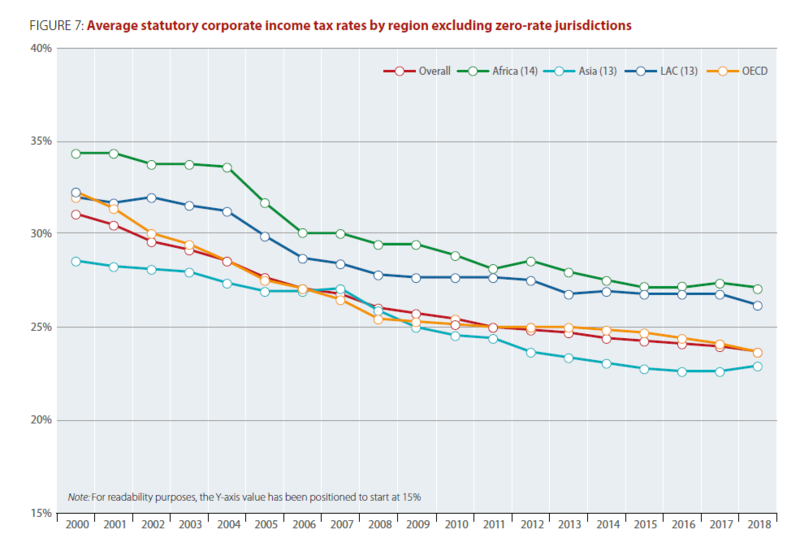 An under-appreciated point to consider is that deadweight loss grows geometrically larger as tax rates go up. In other words, you don’t just double damage when you double tax rates. The consequences are far more severe. Here are two charts that were created for a chapter I co-authored in a book about demographics and capital taxation. 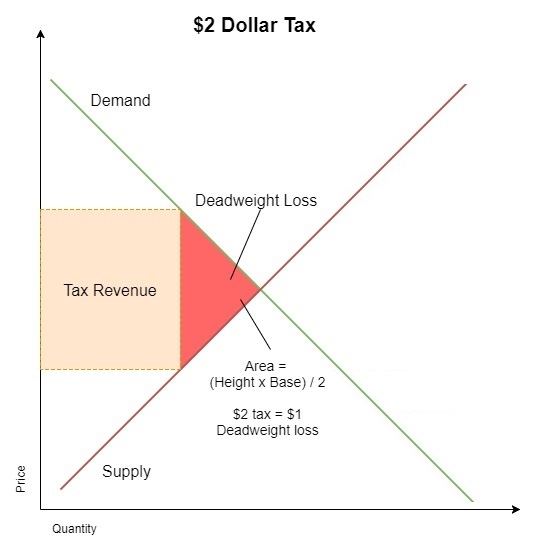 This first chart shows how a $1 tax leads to 25-cents of deadweight loss. But if the tax doubles to $2, the deadweight loss doesn’t just double. In this hypothetical example, it rises to $1 from 25-cents. 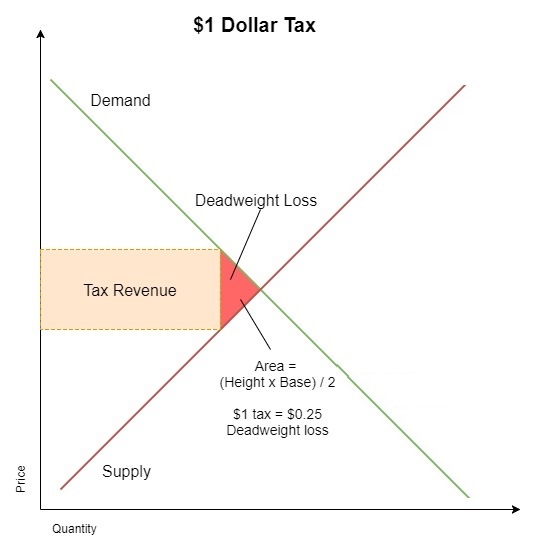 For any given tax on any particular economic activity, the amount of deadweight loss will depend on both supply and demand sensitivities. Some taxes impose high costs. Others impose low costs. 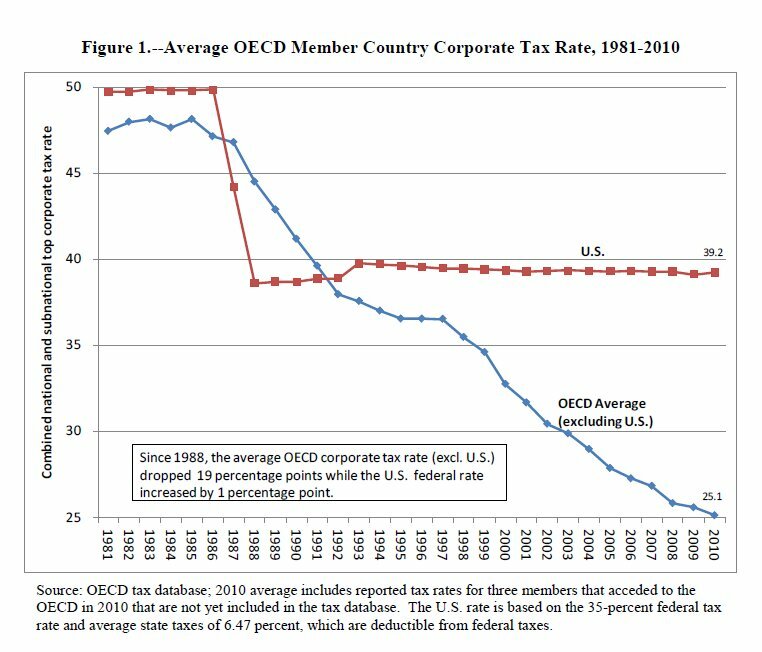 But in all cases, the deadweight loss increases disproportionately fast as the tax rate is increased. 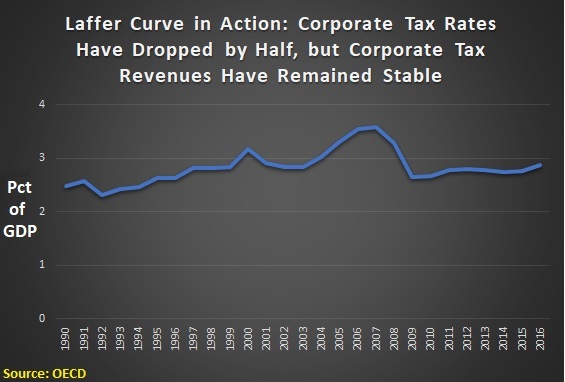 And that has big implications for whether there should high tax rates on personal income and corporate income, as well as whether there should be heavy death taxes and harsh tax rates on capital gains, interest, and dividends. Some of my left-wing friends shrug their shoulders because they assume that rich people bear the burden. But remember that the reduction of “consumer surplus” is a measure of the loss to taxpayers. The deadweight loss is the foregone output to society. I’ve written about how taxes have a big impact on soccer (a quaint game with little or no scoring that Europeans play with their feet). Taxes affect both the decisions of players and the success of teams. Grasping and greedy governments also have an impact on football. Especially if teams play in Europe. …the Los Angeles Chargers and Tennessee Titans traveled across the Atlantic to play a game in London’s Wembley Stadium. …Players spoke of the burdens of traveling so far to play a game, especially the team from California that had to cross eight time zones. Players also spoke out about the tax nightmare they faced when they got to the UK. …players talked ahead of time to their CPAs to determine the tax hit they’d take for the privilege of such a long road trip… Great Britain…levies high taxes on athletes who visit for an athletic match. Teams from California — the Raiders, Chargers, and Rams — already face the highest state income tax in the nation with a top rate of 13.3 percent. Of course, players also have to pay federal income tax. 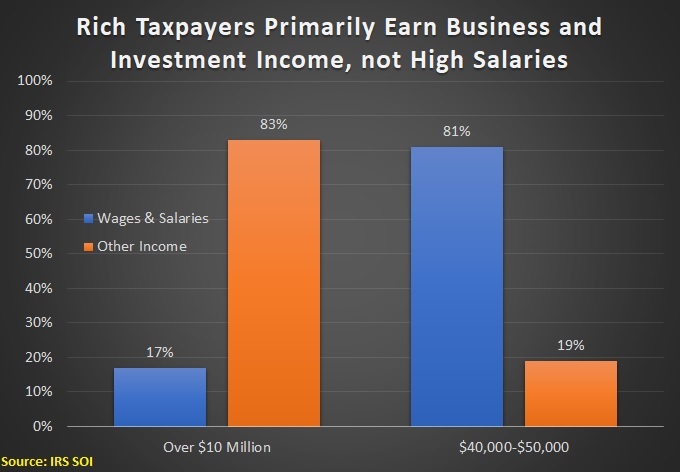 …To top it all off, those players who receive one of their 16 paychecks in London pay a 45 percent tax on a prorated amount based on the number of days they spend in the country. Bottom line: Players on California teams could end up paying 60 percent or more in income taxes for that game check. …For non-resident foreign athletes, HM Revenue and Customs (HMRC) reserves the right to tax not only the income they earn from competing in the match but a portion of any endorsement money they earn worldwide. No wonder some of the world’s top athletes don’t want to compete in the United Kingdom. And what about the NFL players, who got hit with a 60 percent tax rate for one game? Those players are lucky they’re not Cam Newton, who paid a 198.8 percent tax for playing in the 2016 Super Bowl. Last year’s tax bill also impacts professional football in a negative way. The IRS has decided that sports teams don’t count as “pass-through” businesses, as noted by Accounting Today. Two major sports franchises might soon be on the auction block following Microsoft Corp. co-founder Paul Allen’s death last week. But a recent Internal Revenue Service rule could cut the teams’ sales prices. Allen died with no heirs and a $26 billion estate, including the National Football League’s Seattle Seahawks… The teams together are worth more than $3 billion, according to the Bloomberg Billionaires Index. …the IRS said in August that team owners would be barred from the write-off — one of the biggest benefits in the law — that allows owners of pass-through entities such as partnerships and limited liability companies to deduct as much as 20 percent of their taxable income. …Arthur Hazlitt, a tax partner at O’Melveny & Myers LLP in New York who provided the tax structure and planning advice for hedge fund manager David Tepper’s acquisition of the Carolina Panthers, estimates the IRS rules could spur potential bidders to offer at least tens of millions of dollars less. Gee, what a surprise. 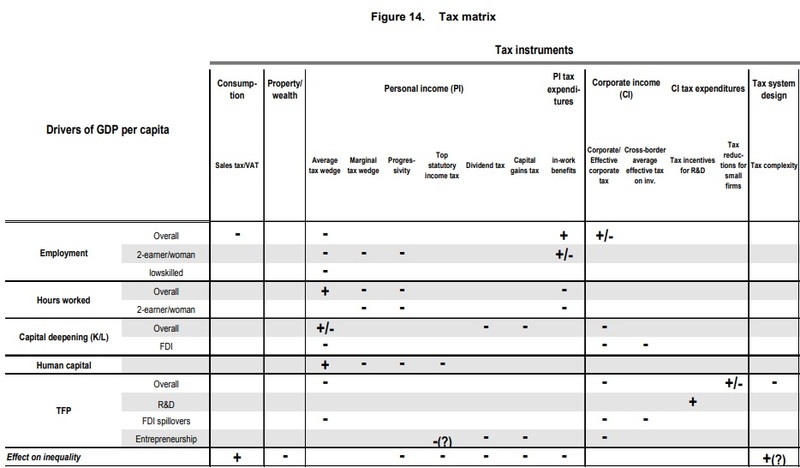 Higher tax burdens lower the value of income-producing assets. 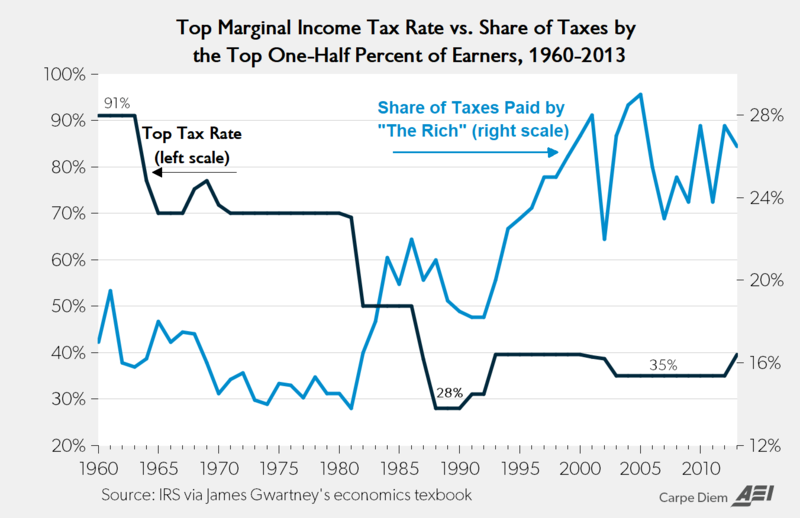 Something to keep in mind next them there’s a debate on whether we should be double-taxing dividends and capital gains. Let’s close with a report from Bloomberg about some new research about the impact of taxes on team performance. The 2017 law could put teams in states with high personal income tax rates at a disadvantage when negotiating with free agents thanks to new limits on deductions, including for state and local taxes, according to tax economist Matthias Petutschnig of the Vienna University of Economics and Business. 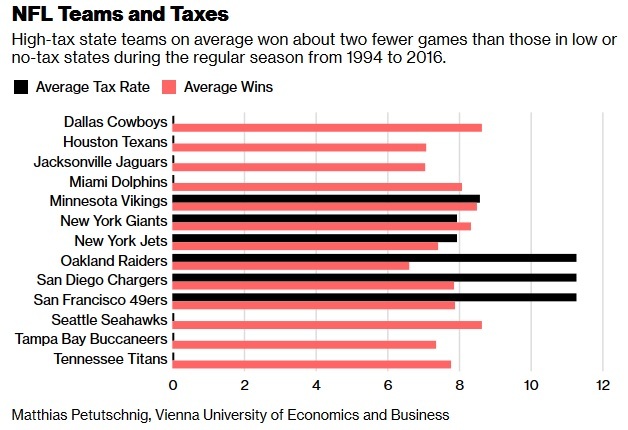 Petutschnig’s research into team performance over more than two decades shows that National Football League franchises based in high-tax states lost more games on average during the regular season compared to teams in low or no-tax states. That’s because of the NFL’s salary cap for teams, according to Petutschnig; if they have to give certain players more money to compensate for higher taxes, it reduces how much they pay other players and lowers the team’s overall talent level. “The new tax law exacerbates my findings and makes it harder for high-tax teams to put together a high-quality roster,” Petutschnig said. Here’s a chart from the article. A player for the Miami Dolphins or Houston Texans, where no state income taxes are levied, “was always going to come out a whole lot better than somebody playing in New York,” said Jerome Glickman, a director at accounting firm Friedman LLP who works with professional athletes. “Now, it’s worse.” …a free agent considering a California team compared to a team in Texas or Florida would need to make 10 percent to 12 percent more to compensate for his state tax bill, said NFL agent Joe Linta… the Raiders — who will eventually move to Las Vegas in no-tax Nevada — have often made the case that unequal tax rates create an uneven playing field. Quarterback Jimmy Garoppolo’s five-year $137.5 million contract with the San Francisco 49ers will mean an additional $3 million tax bill under the new tax law… Garoppolo would have saved $2 million in taxes under the new code had he instead signed with the Denver Broncos in lower-tax Colorado. By the way, other scholars have reached similar conclusions, so Professor Petutschnig’s research should be viewed as yet another addition to the powerful body of evidence about the harmful effect of punitive tax policy. P.S. I think nations have the right to tax income earned inside their borders, so I’m not theoretically opposed to the U.K. taxing athletes who earn income on British soil. But I don’t favor punitive rates. And I don’t think the IRS should add injury to injury by then taxing the same income. That lesson even applies to royalty.